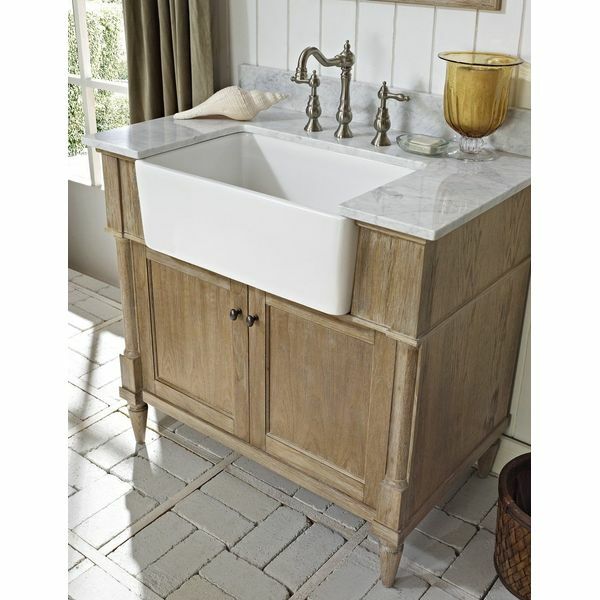 A distressed finish and simple vented double door front gives the 36″ Abbeville Rustic Bathroom Sink Vanity that shabby chic charm that is perfect for a rustic elegant bathroom. The counter top is made from glossy white marble, and the included under sink is white porcelain. The faucets are not included. Lay the foundations for a gorgeous traditional vanity with this Rustic Chic 36″ Farmhouse Vanity Base. 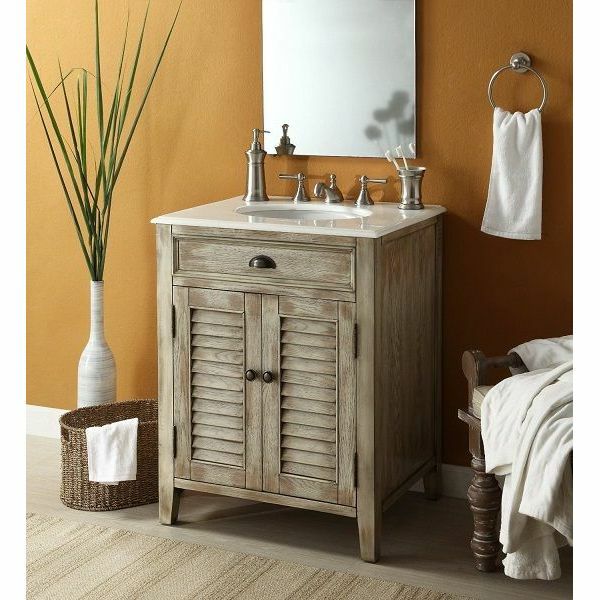 The wooden base features an intentionally weathered finish that fits in with any farmhouse or rustic bathroom decor. There are two drawers in the center that open to expose the concealed storage inside. Bring that cozy cottage chic look to your powder room, guest bathroom or master bath with the 26″ Cottage-Look Abbeville Bathroom Sink Vanity. Ideal for tight spaces, the bathroom comes with a white marble one-piece counter top and a white porcelain under mount sink ready for completing with the faucet of your choosing. 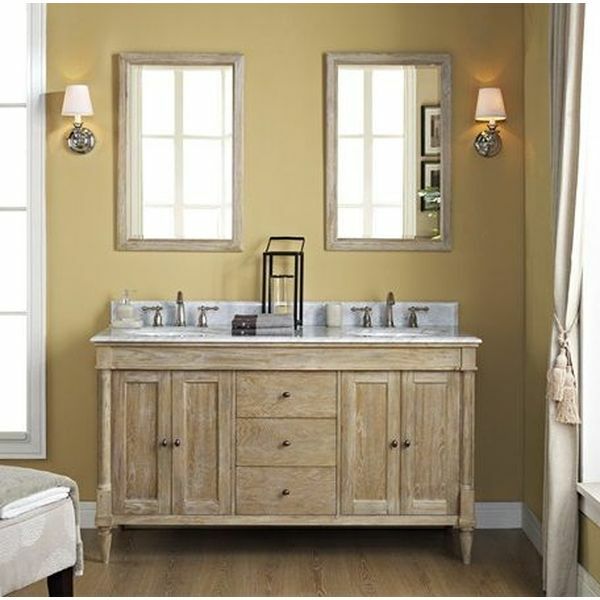 The 46″ Cottage-Look Abbeville Bathroom Sink Vanity is a large country style rustic vanity that will add a lovely finish to a large bathroom. The design includes eight drawers and a larger ninth drawer as well as a cabinet with double doors. The white porcelain under mount sink and a genuine white marble counter are included. 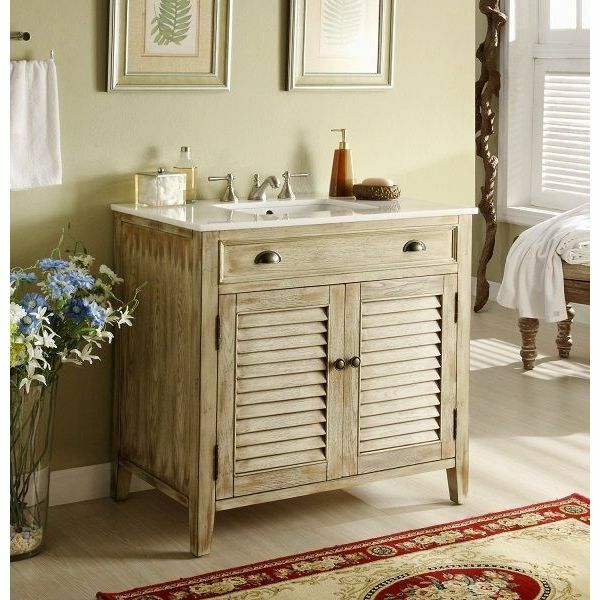 Designed to look like a handcrafted one of a kind piece, the Fairmont Designs Rustic Chic 30-Inch Vanity in Weathered Oak has an understated look that is perfect for shabby chic decorating. 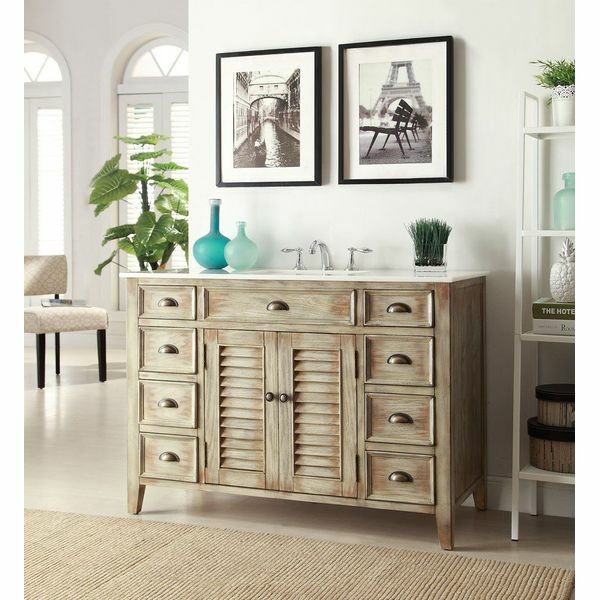 The double door cabinet vanity features tapered pedestal feet and antiqued brass hardware. The piece is made from white oak veneers and solid wood. 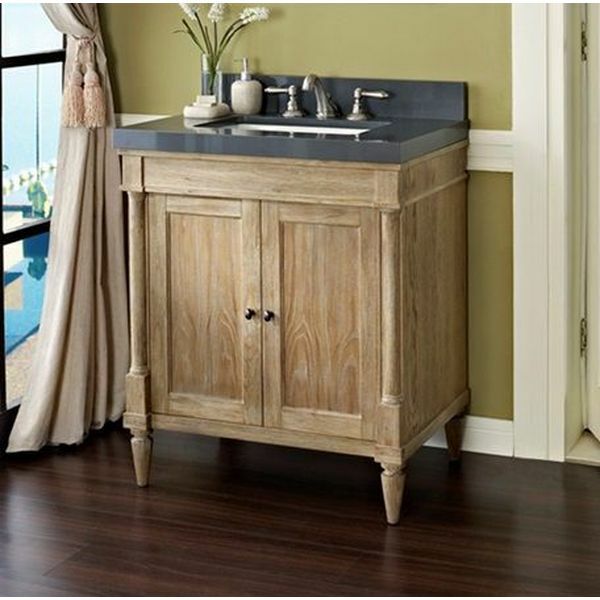 Perfect for the master bath, the Fairmont Designs Rustic Chic 60-Inch Vanity Double Bowl in Weathered Oak gives you each a sink to get ready at and has a rustic chic quality that is truly timeless. The vanity has two double-door cupboards and three drawers, all with antiqued brass hardware.